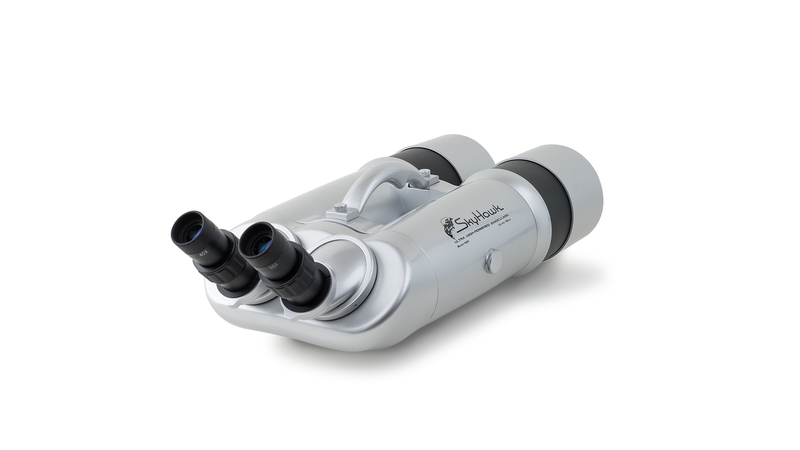 Kiwi Binoculars is the only official reseller of SkyHawk binoculars within New Zealand. 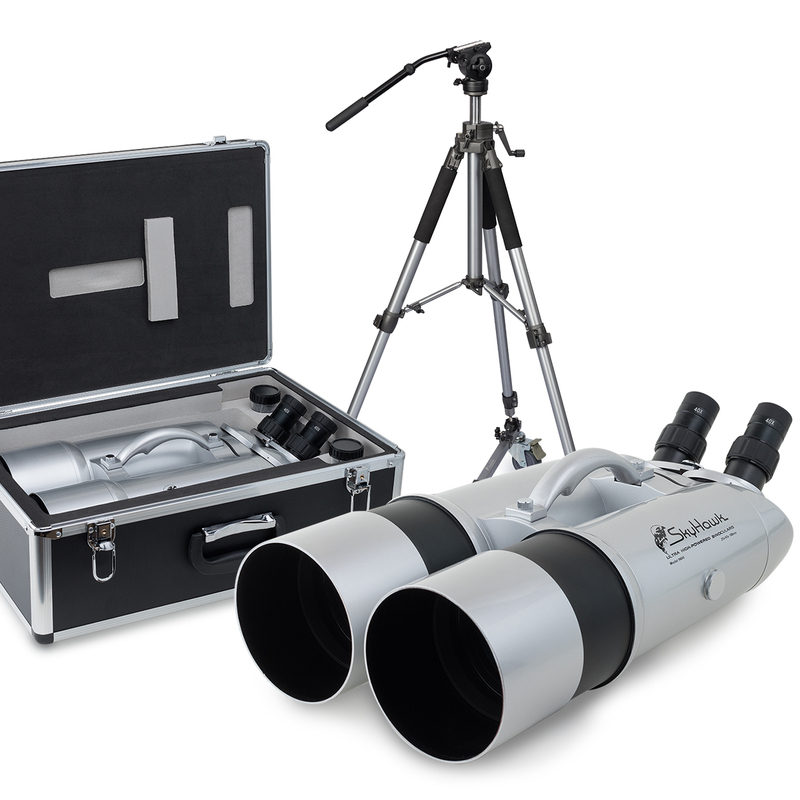 Avoid hidden importing fees and take advantage of local support by ordering from Kiwi Binoculars direct. 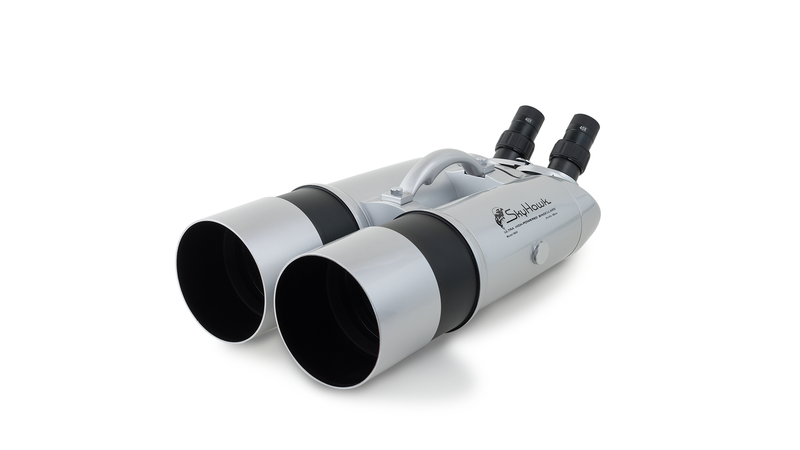 Pricing on this model is subject to change at any time due to the USD to NZD exchange rate. The current price on 22/11/2018 is $4499.95 including freight. 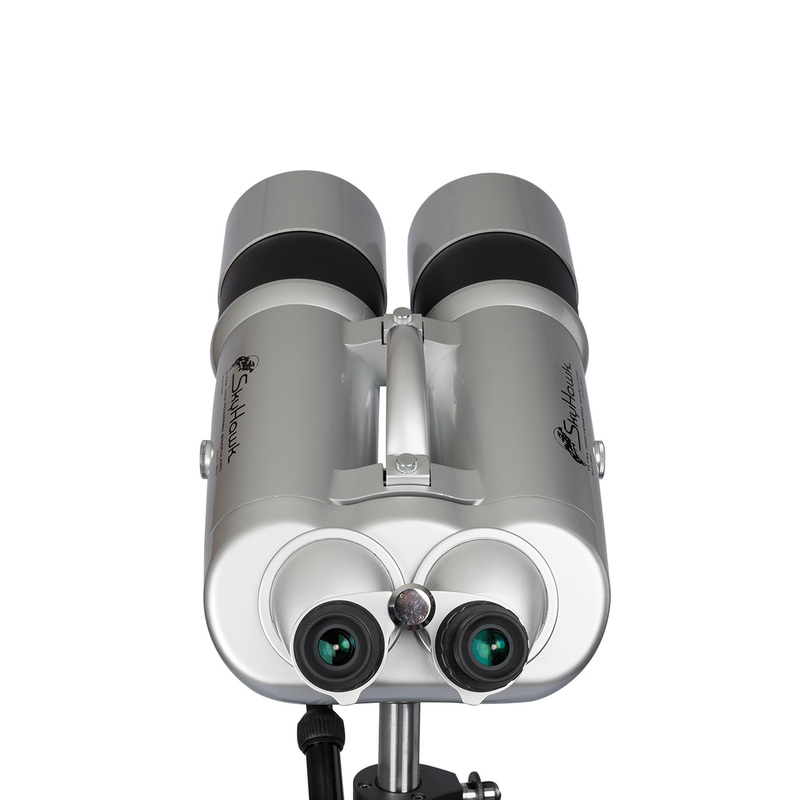 Kiwi Binoculars will confirm the price at the time of your order, before any charges are made. 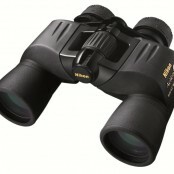 We order these binoculars in from the USA on a per order basis. 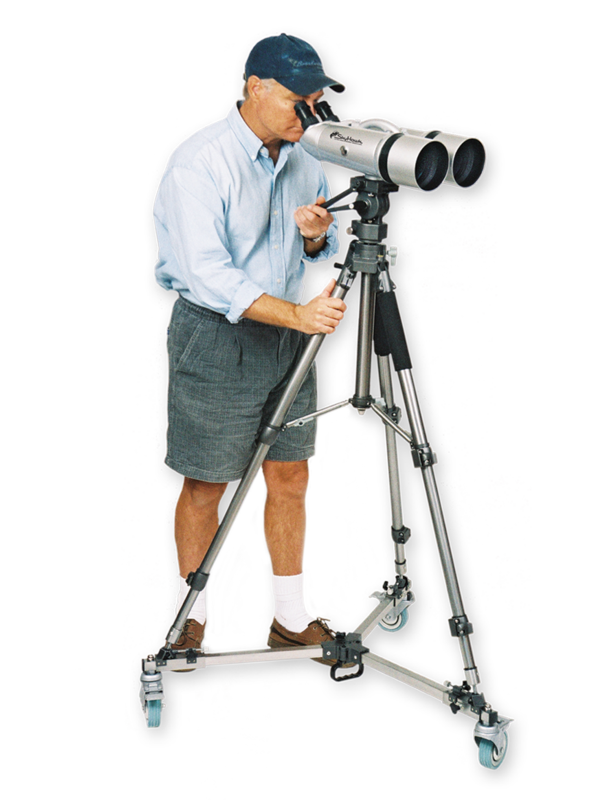 At present, the ETA on a unit from the USA to Kiwi Binoculars is 6-10 working days. Delivery is then made direct from Kiwi Binoculars to you, via courier (1-2 days to most places, 2-3 days to a rural address), with tracking and signature required. 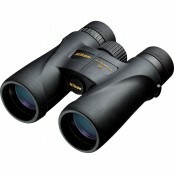 If you would like to order please contact Kiwi Binoculars here. 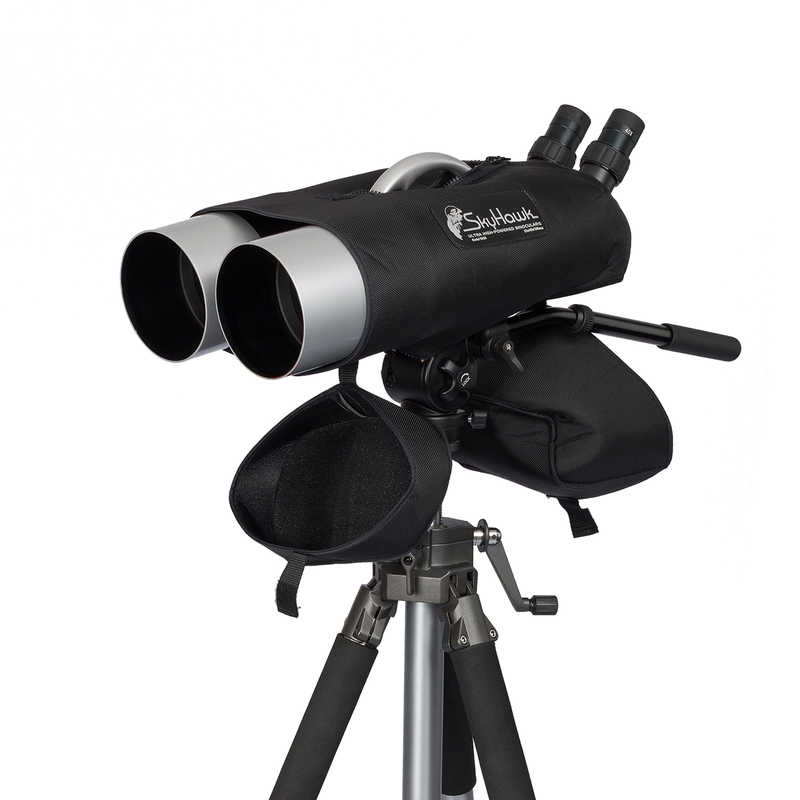 Categories: Binoculars, Bird Watching, General Purpose / Nature Watching, Magnification / Zoom - 11.0x or Higher, Marine, SkyHawk, Spectator / Sport. 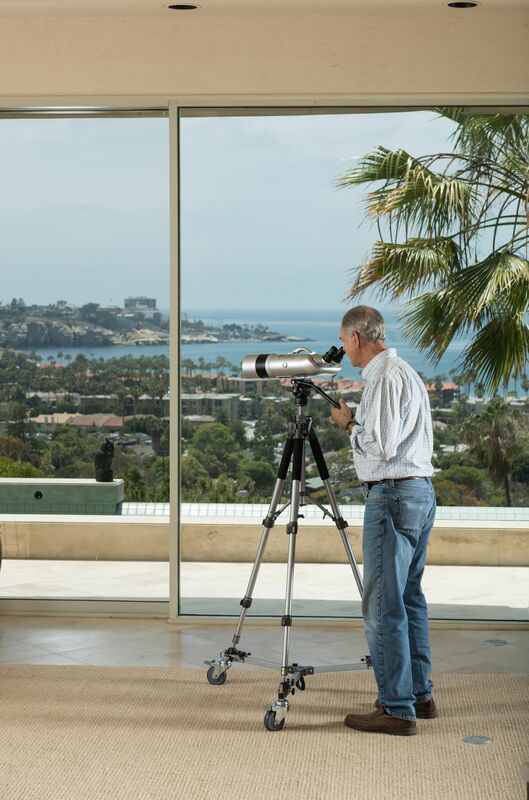 Coastal, Lakeside or Mountain Homes, Desert and Night-Time Stargazing. Executive Offices, Penthouses and Condominiums. Nature Watching of Game Animals, Birds, Whales, even Butterflies. 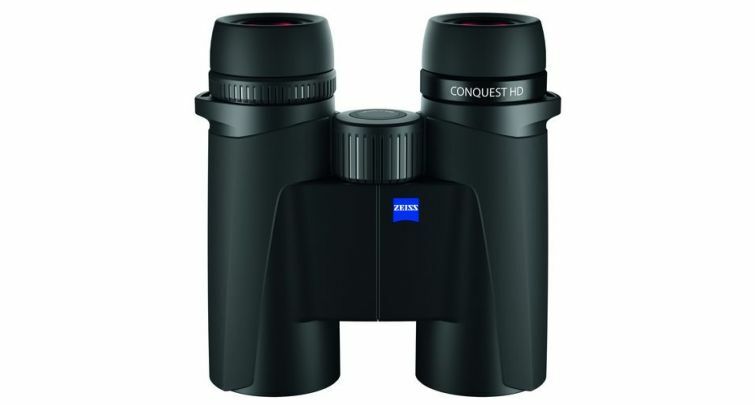 Sensational long distance viewing of land, sea or space with the comfort of using both eyes. 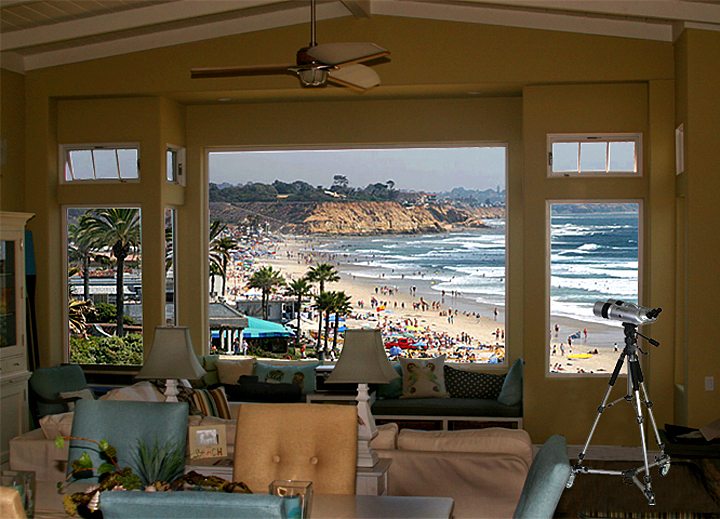 Family and friends will be busy for hours enjoying your view-a total guest magnet! Room–to-room mobility with attachable wheels made of floor-friendly rubber. 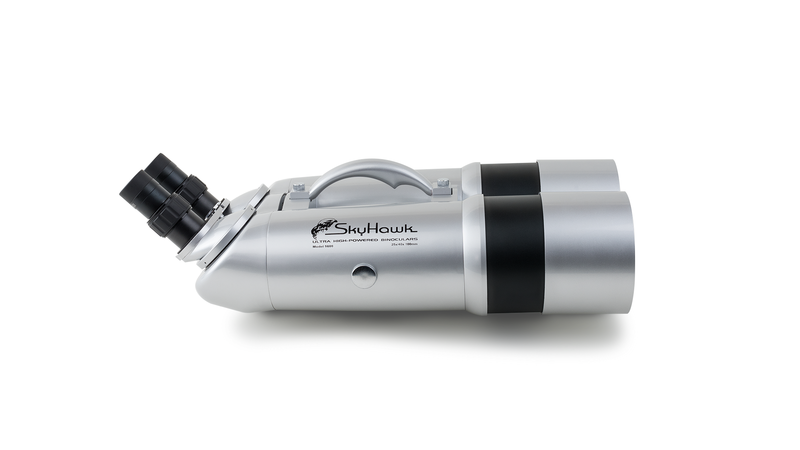 Extraordinary optics teamed with smooth, one-touch panhead that glides to subject then stays put. 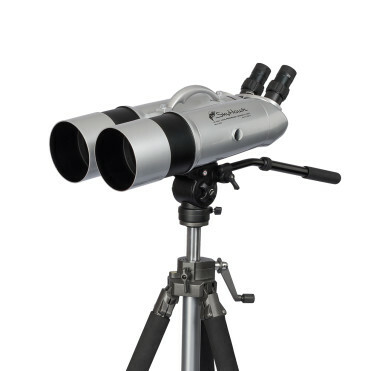 Now 1/3 less weight than the previous generation of observation binoculars, yet see for miles, same high-powered viewing magnification as old models. 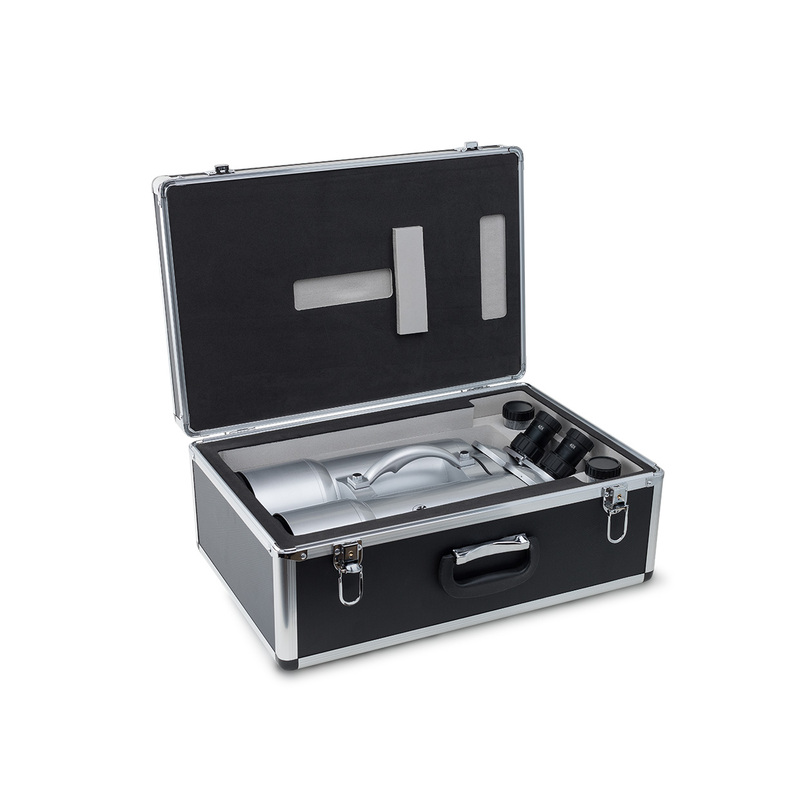 Easy to move from room to room with attachable, swiveling stainless steel wheel set made with soft rubber wheels that are gentle on all floors. 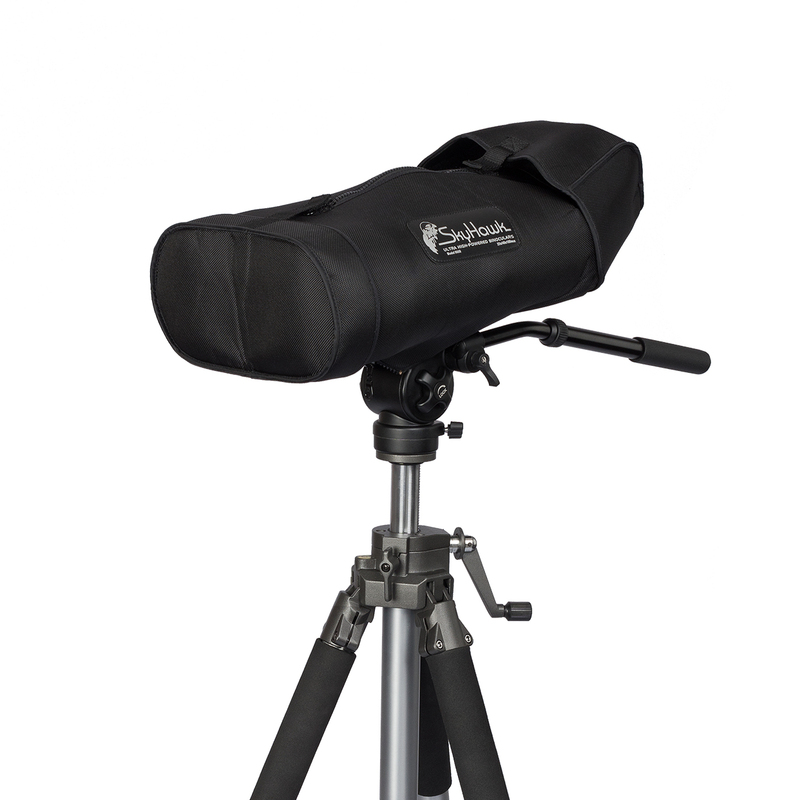 New professional anodized aluminum tripod with rapid-release adjustable leg settings, fully adjustable center column bracing system, twin bubbles for accurate leveling and padded handgrips for added comfort. 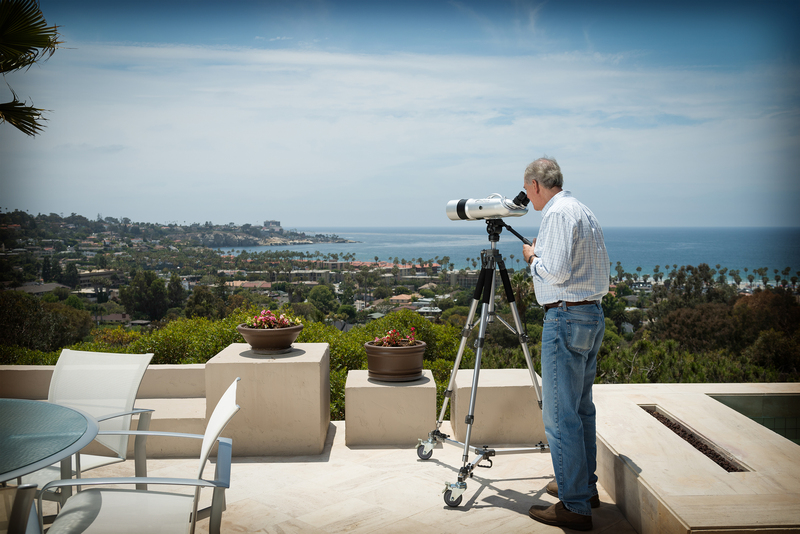 Adjust to anyone’s viewing height with our simple, one touch, crank-up system-no messing with tripod legs necessary. Zero in on your long-distance objects with our fluid-action panhead straight out of Hollywood -you glide it to your subject and it stays put. 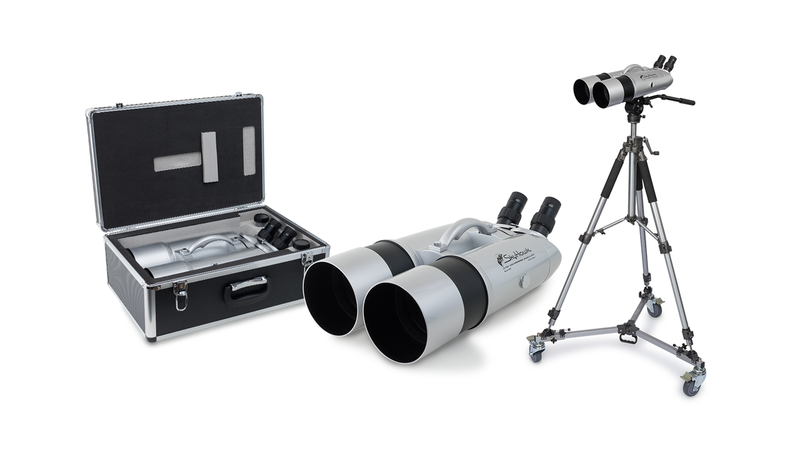 New streamlined design with telescoping lens shades has reduced the overall length by 6 inches. 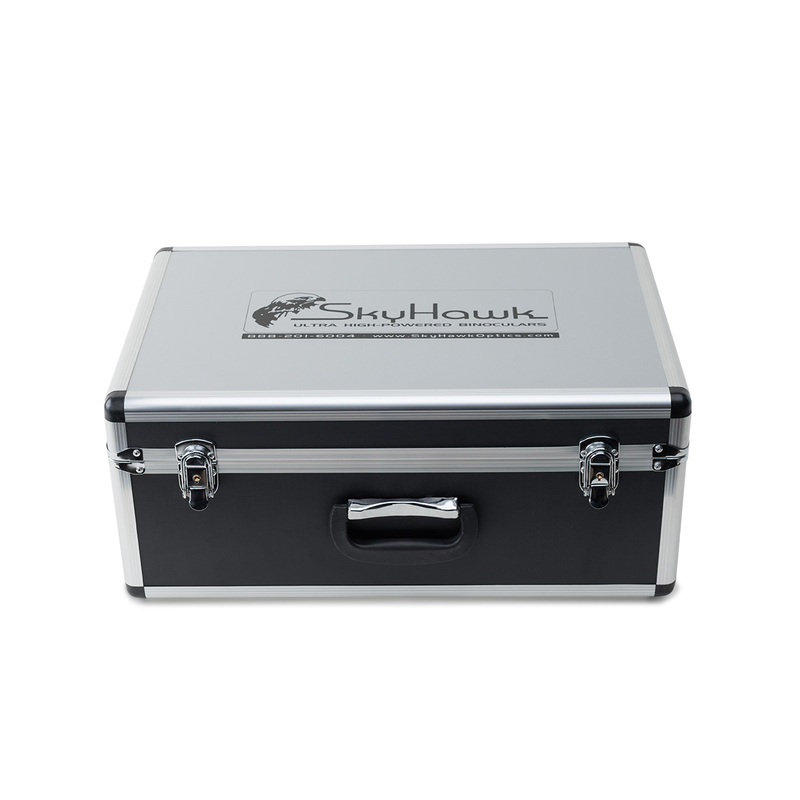 Now the custom aluminum carrying case is half its previous size. 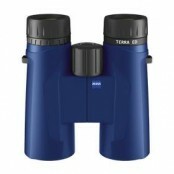 New 45 degree angled eyepieces provides the ultimate viewing comfort and allows you to view objects higher in the sky.